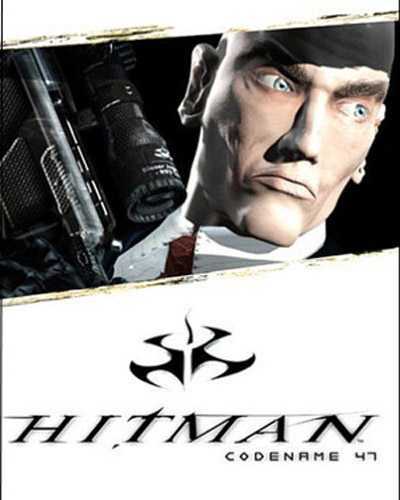 Hitman Codename 47 is an Action and Stealth game for PC published by Square Enix in 2000. This is the start line of a killer named Hitman. He is a professional agent who works for International Contract Agency. You will have the control of this man who kills only for money! It means that this company make contracts with you to get the targets within some hours. Your missions will be in the countries like Netherlands, Colombia and Hungary. Most of the targets can be found easily on the map. But you need to travel there fast to do the missions. Some of the targets are also hidden. It’s really hard to find them. Agent 47 may get into serious dangers for finding them. ICA (International Contract Agency) just pay you to end the targets’ lives faster than the other agents. So, You shouldn’t disappoint them. The story of Hitman Codename 47 starts in a hospital. You don’t remember many things from the past. Now, Your only aim should be escaping from this hospital. Agent 47 hears some voices that wants to help him. You have to follow the things that this voice wants you to do. When you got out of the hospital, A weapon is needed. If you pay attention to the voice as well, You can find a gun in a hidden area. So, The main part of the story starts after the escape. When you enter ICA in Hitman Codename 47, They will teach you some new skills. The players have to improve their shooting skills to start the first mission. If you are a fan of Hitman franchise, The first version is necessary to try. Because it helps you know the main story from the beginning. 65 Comments ON " Hitman Codename 47 Free Download "
is this the full version ???? or is this the compress version that doesn’t have the soundtrack? or is this the compress version that doesn’t have soundtrack. I love to visit your site because you always provide direct downloading link. i Need Password Where it is????? Does it work in windows 8.1 does contract or blood money work in windows 8.. I have installed it but whenever I click to open the game it refers me to where I am going to install again.Does anybody know what i should do? It do work in smart phones?? Really will it be work? the password is: https://www.freegamesdl.net, its write at the end of game presentation, under the download link. The game is fast because it’s 17+ years old and modern PCs are much faster now. If Hitman (or any game) is running at too high a speed try using Riva Tuner(search for it on google/bing). It’ll let you set a perfered fps, and is supposed to work with all graphics cards, but I don’t know if it actually does. You can also try forcing a set fps from nVidia Control Panel, if you have nVidia graphics card like me. I’m sure other cards have a similar conig tool to set-up your card how you want. An alternate solution to the above options is to run windows media player, or a similar program, in the background while you play(you don’t have play music, just leave it open). Sounds odd, I know, but it works for Resident Evil 1 and 2. How do i complete the first mission where by am supposed to kill the gang member yet I don’t see the money to buy a weapon? my game starts and then when i go to call the elevator the elevator does not works please tell me a solution.